Home Article American Film Personality Ava DuVernay Living a Single Life or She Is Secretly Married and Enjoying Life With Her Husband? American Film Personality Ava DuVernay Living a Single Life or She Is Secretly Married and Enjoying Life With Her Husband? "Nothing is Impossible when you believe!" American film director Ava DuVernay came into the limelight following the critical applause she received for her 2014 movie "Selma". Most importantly, she is the first black woman to direct an Oscar-nominated movie '13th' released in 2016. Meanwhile, DuVernay is again the first black-American woman directing a live-action movie A Wrinkle in Time with a production and marketing budget of $250 million. Despite the fact she's a recognized figure of Hollywood, Ava tends to hide her love life under the radar. Let's see what we've collected about the lady of honor's inside romance and also her net worth. Is Ava DuVernay Married? Or Still Dating A Boyfriend? No, the American director Ava DuVernay isn't married till date but it's not really a big deal when one is solely focused on embracing her career in the entertainment industry. Ava DuVernay is known to be dating American rapper as well as an actor COMMON. And, it's not a surprise for an iconic figure to be followed up by media and cameras every second. It's hard! But within these circumstances, the African-American director peacefully settled down every challenging factor outcasting each one of them that tries to approach near her personal life! However, she couldn't outrun the power of those curious eyes. Despite the fact that she maintained a low key when it comes to personal life, she couldn't hide the love of her life. Yes! she ultimately caught herself with a bashful young man along the long-run. Guess who is it? 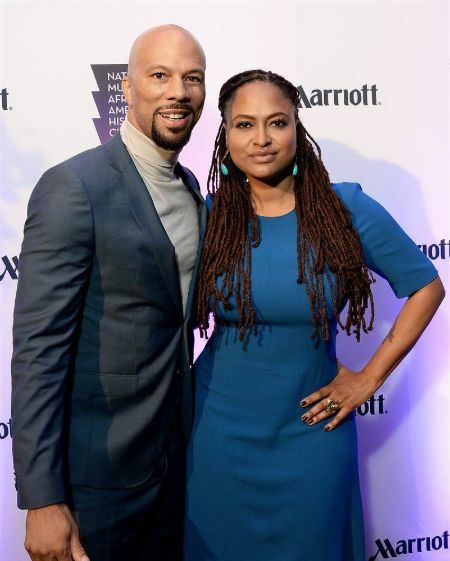 Ava got spotted dating the fellow American actor, as well as a rapper Lonnie Corant Jaman Shuka Rashid Lynn, who is better known from his stage name "Common". As from the reports, the lovebirds first met on the set of her movie "Selma" and later seen holding hands together while walking in places of Los Angeles. Another beautiful year at the @Essence Black Women in Hollywood luncheon. I look forward to this gathering every year. To see my sisters and hug and smile and connect. Thank you, Essence. Thanks @jasonbolden @ernestocasillas and @therow for the look. And thanks to brother photographer @michaelrowephoto for this image. Fans are in total confusion either he may be her soon-to-be husband as both of them have never opened about their relationship. Until then, sooner or later we wish luck to Ava, finding the perfect love of her life and hoping for a positive result pretty soon. 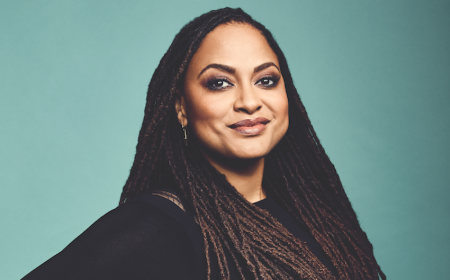 Ava DuVernay is the first black woman to direct a film nominated for the "Best Picture Oscar". Now, the 5 feet and 6 inches lady is all set for her upcoming project, that she vows to bring home Oscar. Also, Read: Oscar-Winning Actress, Allison Janney Rumored To Be Dating A Production Co-Ordinator, Wins Best Supporting Actress of The Year! Congratulations!! Above all, she is the first black woman to direct a movie nominated for the Academy Award. She received a nomination for the very award for Best Documentary Feature for "13th" in 2017 and it's the way where she stops. She is the first black-American making a live-action movie A Wrinkle in Time with an amazing marketing and production budget between $150 million and $250 million. Not enough words to describe the enormity of last night in Hollywood at the #GovernorsAward. When Ms. Tyson asked if I’d present to her, I was floored. She’s been a champion of mine since my very first film “I Will Follow.” I was beyond thrilled to hand her her long-overdue Oscar. Something she has wanted for so long. For my speech, I asked for one word to describe Ms. Tyson from many of us who adore her. Magnificent words flowed in. Whoopi Goldberg - Platinum-Standard Lupita Nyong’o - Vibrant Taraji Henson - A treasure Aunjanue Ellis - Unparalleled Regina King - Authentic Cynthia Erivo - Regal Shonda Rhimes - Legendary Anika Noni Rose - Our Gift Gabrielle Union - Unapologetic Amandla Steinberg - Groundbreaking Jada Pinkett Smith - Legendary Gugu Mbatha Raw - Trailblazing Kerry Washington - Divine Viola Davis - Our Muse Oprah Winfrey said without hesitation. “Noble. She is nobility personified.” Ms. Tyson is all those things. She is everything. May God continue to bless her life. She turns 95 next month. What a Queen. "I'm not the first black women who's made something so beautiful that whatever-body that's awarding it/ should have been awarding it, it's just the time. It's just the time that I happened to be here." Back in time, like Ava said that she grew up in a matriarchy and her aunt Denise used to take her to see plays up to theatre's outside Compton and that's where her journey began. But it was very challenging as there were no movie theatres neither in Long Beach nor in Compton. And yes, she points out to her aunt as an architect of whom she is now! 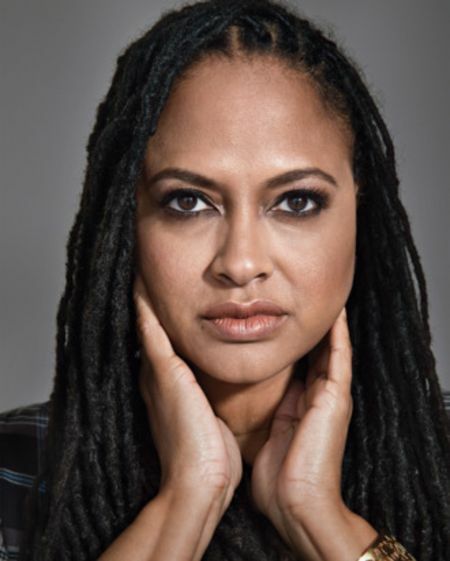 Ava Marie DuVernay was born on August 24, 1972, in Long Beach, California, United States. She is the daughter of father Murray Maye and mother Darlene, who is an educator. DuVernay grew up in an African-American family along with her sister Jina DuVernay and the youngest brother Nic. Ava completed her graduation from Saint Joseph High School in Lakewood in 1990. She received a double BA degree with the major in English literature from the University of California, Los Angeles (UCLA). As of 2019, Ava DuVernay's estimated net worth is $3 million.